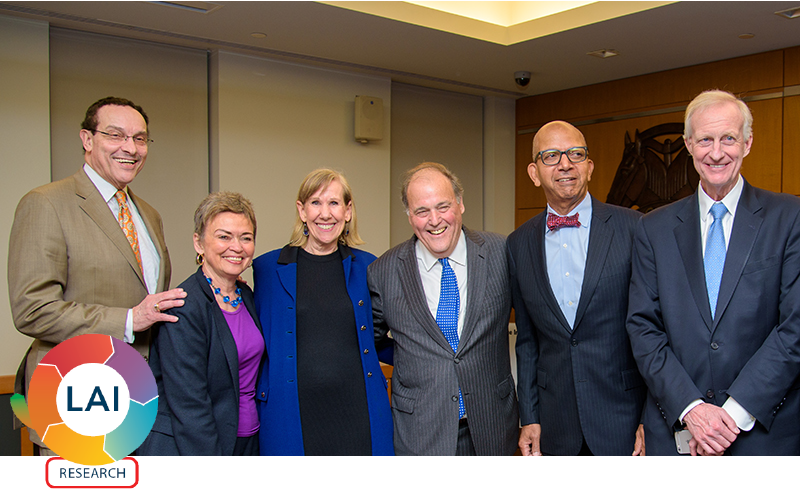 Journalist and political commentator Mark Plotkin, CCAS BA ’69, one of the staunchest advocates for voting rights for D.C. residents and D.C. statehood, donated his collection of papers to the university at a reception filled with D.C. politicos, including former D.C. mayors Sharon Pratt, Anthony Williams, and Vincent Gray, B.S. ’64; and D.C. Council Members Mary Cheh (D-Ward 3), the Elyce Zenoff Research Professor of Law at GW, and Jack Evans (D-Ward 2). The collection includes handwritten and typed commentaries, articles from newspapers including The Washington Post and Legal Times, personal documents, and photographs from Plotkin’s career, which includes an Edward R. Murrow Award for excellence in writing. 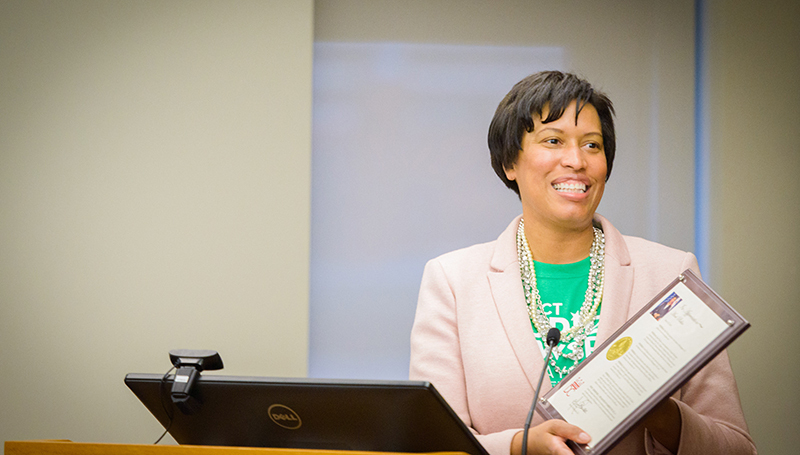 Speaking at the reception, D.C. Mayor Muriel Bowser declared March 29, 2018, as "Mark Plotkin Day” in D.C. and said that his collection would help “to educate many people” on issues important to Washington, D.C.